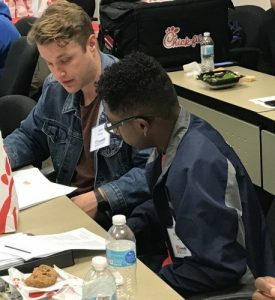 C-10 Mentoring & Leadership offers high school students the opportunity for mentoring and exposure to an abundance of resources to learn life and career skills. 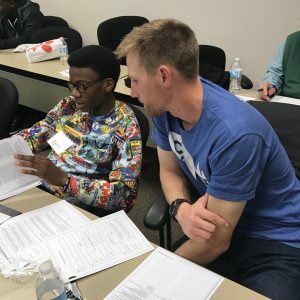 Weekly programs offer a range of topics utilizing guest speakers focused on one of CYITML’s C’s, ACT prep coursework, resume writing, assistance filling out job or college applications, and giving back to the community through monthly service projects. Each student has his or her own mentor to help ensure success. 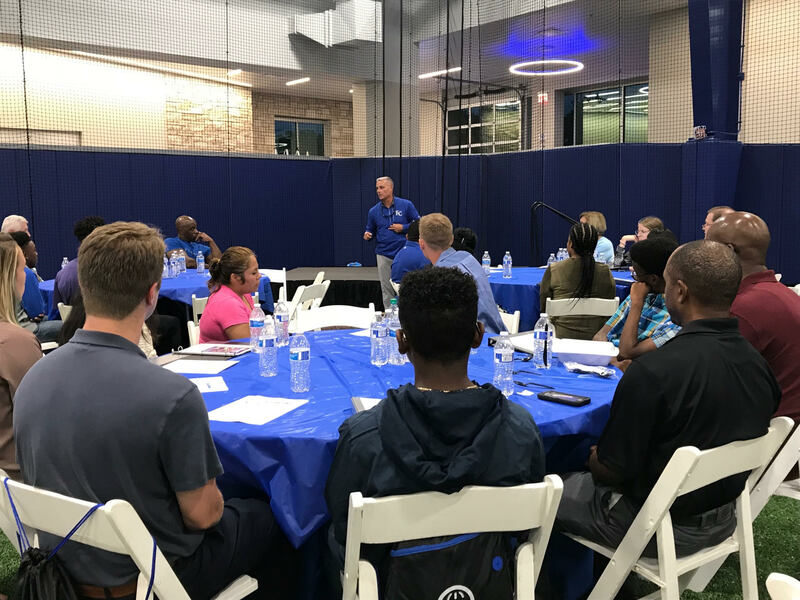 Royals General Manager and CYITML Founder/Executive Director Dayton Moore kicked off the 2018-19 school year by talking about “Character” with our inaugural class of students, parents/guardians, and mentors on Aug. 29, 2018, at the Kansas City MLB Urban Youth Academy. To develop and experience life and leadership skills based on each CYITML “C”: Character, Care, Coach, Competitor, Commitment, Composure, Comprehension, Concentration, Confidence, Courage. To learn life and career skills, such as money management, resume writing, filling out college and/or job applications, interviewing, shopping for and preparing food, and changing a tire and the oil in a vehicle. To experience on-the-job training through shadowing. To gain a greater sense of community through monthly service projects. Teach students the value of being physically and spiritually healthy, the importance of avoiding drugs, alcohol, and gangs, and the importance of healthy relationships. Offer students real-life work experiences. 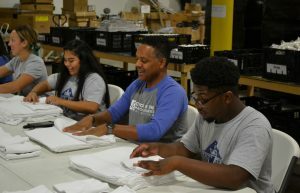 Promote community service in greater Kansas City. Develop a servant leadership model with each student. 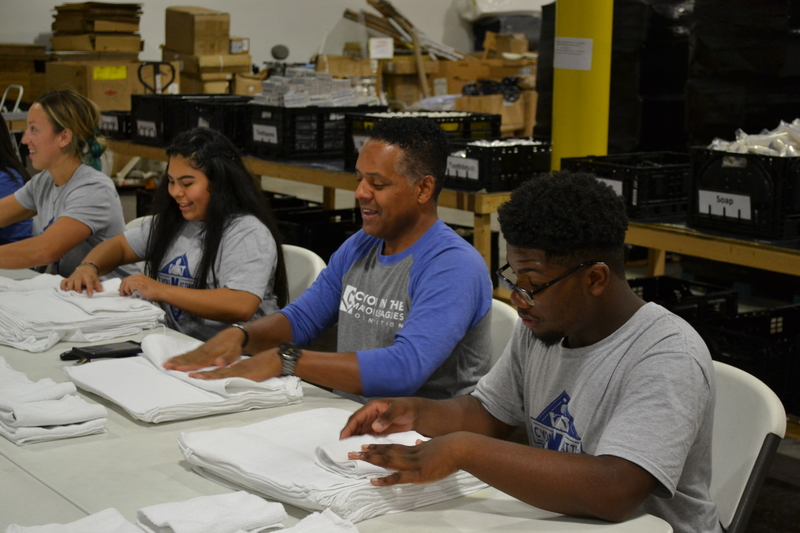 C-10 students and mentors packed hygiene kits for Hurricane Florence victims at Heart to Heart International on Sept. 19, 2018. Every facet of C-10 works to help these students set and achieve their goals while developing a servant leadership attitude for life! Have a desire to be dedicated to the leadership program, and meet on a weekly basis. Make an impact on a student’s life today. 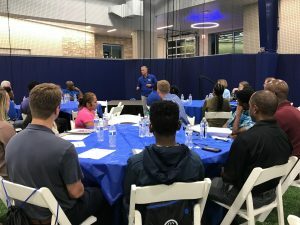 There are five critical components to the success of C-10 Mentoring & Leadership: the students who filled out the application; their parents/guardians who are encouraging them to participate; the mentors who are spending two hours a week with the students; the curriculum committee which developed the course; and YOU! 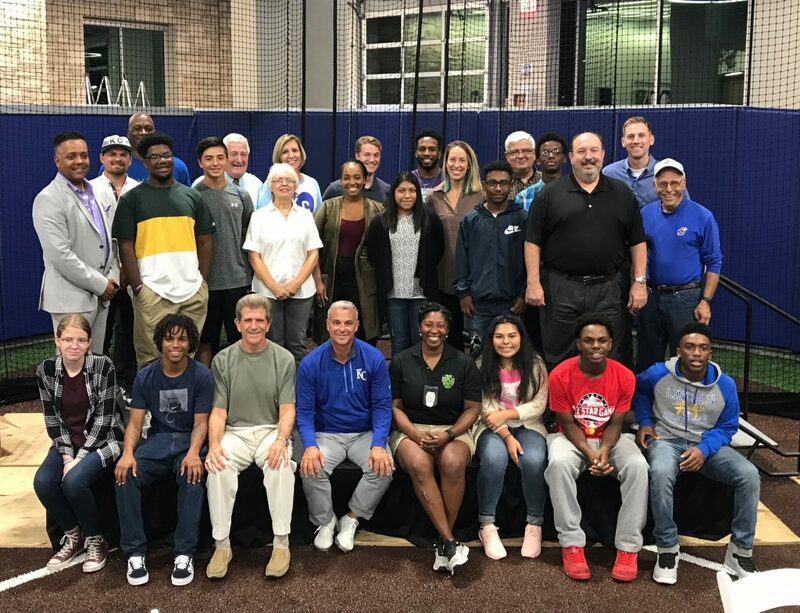 If you or your business would like to partner with us for a field trip, job shadowing, sponsorship opportunities, or a general donation, you can contact us online or via snail mail: C-10 Mentoring & Leadership, c/o “C” You In The Major Leagues Foundation, P.O. Box 13428, Overland Park, KS, 66282. Or, you can click below to help us reach our goal of $49,655. This is a life-changing program. Will you help support it? C-10 is a life-changing program. 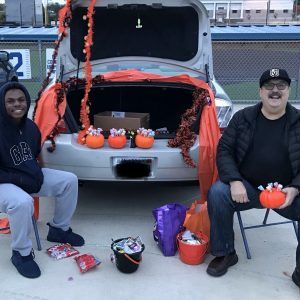 Will you help me reach my goal? Will you support this great program? Our inaugural 2018-19 C-10 Mentoring and Leadership students, mentors and curriculum committee.